Just started Assassins Creed Origins. Didn’t like the last one too much. This seems better so far. Rocket League for 2 years now. Love it! Sorry to quote an old post - do you still play? Hi mate sorry only just seen this. I've fallen out of it recently with a few other games taking up what little gaming time I have at the moment, but I think I've got you on PSN so if I see you playing maybe I'll jump in! Unless you're playing on PC/Xbox? It is damn addictive once you get into it! 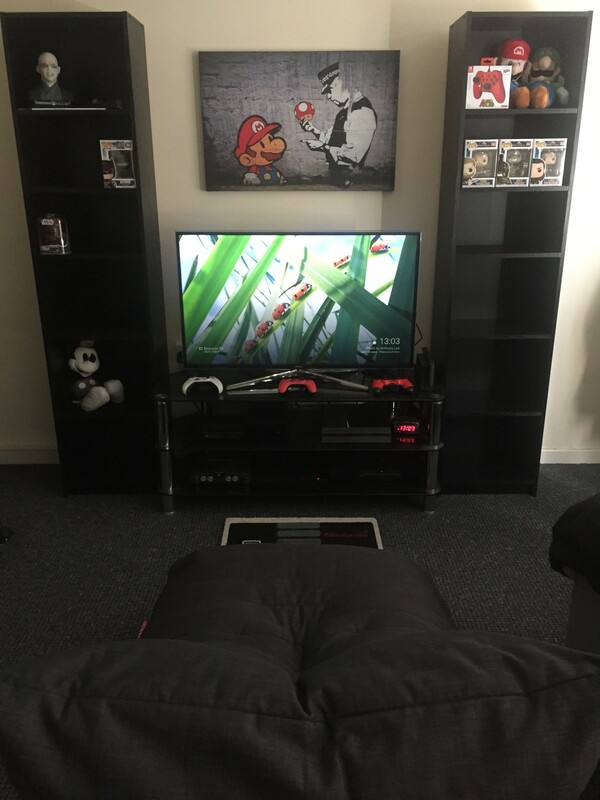 Great set up that mate,spied an N64 in your picture ( great console ) and still use mine. Just on PC mate, but once the in-game parties are added I'm sure we can pair up. What rank are you? Assassins Creed Syndicate. I like it pretty well so far. It's not so bad. Minecraft has a Pegi 7. My son was playing it around 3. He's 6 now and he's finished Legend of Zelda breath of the wild on his own. I don't think it is any more harmful for a 6 year old than a 30 year old. It has puzzles which help problem solving abilities and it has been proven that games improve reaction times without loss of accuracy. My opinion as long as it is in moderation it is actually an educational thing. As long as it is not crime or gore such as grand theft auto, resident evil or Mortal Kombat etc... I think it is fine. The tutorials are very annoying, I literally banned them until I got my son a pair of children's headphones. Started playing God of War. Haven’t played games in about 2 and a half years now because didn’t have a console and finally could afford one again. Holy sh*t, how I’ve missed it. God of war starts brilliantly, hope it continues down the same path. It is!!! Ranks along side Last of Us, Witcher 3 and Uncharted 1 for me (not played Uncharted 2, 3 and 4 yet ). Please play Uncharted series, Last of Us and Witcher 3!!!! I started the Last of Us a couple of years back but never finished it which is criminal given how crazy people are about it. I've always been meaning to get back to it and it's on my bucket list of things to do 'at home'. As for the Uncharted series? If Uncharted 1 is already one of your favourite games ever then you're in for a real treat. The first one is brilliant but having recently played 2 and 3 once again I have to say they blow the first one out of the water. Number 4 is stupendous as well - played it at the start of last year and it's maybe a bit darker/personal than the previous installments but no less captivating and thrilling. If push came to shove I'd say number 2 is the greatest of them all, purely because it set the standards for the next two games, which in fairness, they matched. Great characters and most importantly stunning set pieces and settings, especially the Himalayas. A game you could play over and over again. Uncharted is unreal, played all of them each one brilliant. Any steam users interested in trading a game for the new Assassin Creed Odyssey game? Bought a new GPU and got the game for free, but not interested in playing it. mannnn!!! you should definitely play it. I have it on my console and so far put around 50 hrs on it! Yeah, after reading the reviews, I decided to keep it. It's damn good, isn't it? The last AC I played was the first one, and I didn't like it, but thoroughly enjoying this one... A LOT!!! 27 hours played so far!! Those Red Dead Redemption 2 reviews are extraordinary but nothing less than I would expect. Already read a few calling it Rockstar's best game ever! Been waiting 8 years for this one and it looks like it isn't going to disappoint. Will be a while before I get my hands on it but get my hands on it I will. Some gamers are looking to boycott the game because of the 'crunch' scandal at Rockstar Games, like overworking your employees for a 100 hours in a week and making them work on weekends. nevertheless, I'm buying the game! That just sounds like any video game company approaching release date. It's known to be the crunch period where everyone is overworked. Thought it was just an accepted part of the business but don't know about anything specifically to do with RDR2? 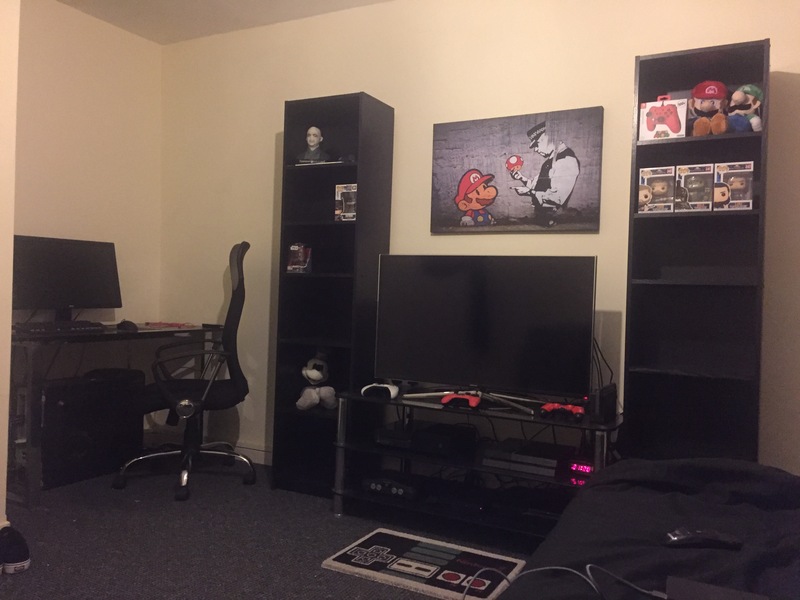 Oh f**k off So jealous! !